His prisoner had helpâbut Longarm never saw who it was. The backshooterâs bullet creased the nape of his neck, knocking him from his horse and rendering him unconscious. Eager to make his getaway, Alton Gray made a fatal errorâhe didnât take a moment to confirm that the lawman was dead. 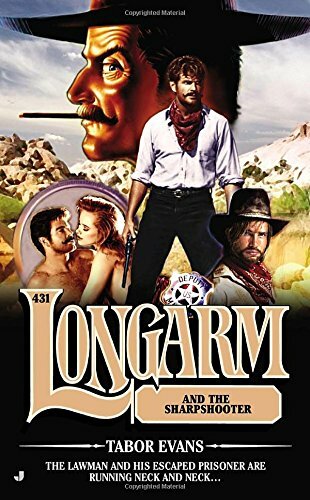 from Jove Pubns (September 30, 2014); titled "Longarm and the Sharpshooter: Longarm and the Sharpshooter"
About: The lawman and his escaped prisoner are running neck and neck…His prisoner had help—but Longarm never saw who it was.